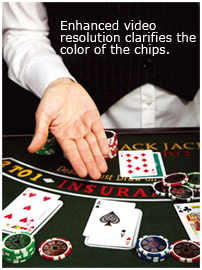 The daily operations of a casino require tight security and a reliable surveillance system. The “eye in the sky” never sleeps, monitoring risks such as cheating, fraud and theft on the premises. Having a reliable security and surveillance system is crucial for the daily operations of a casino, and many cases have been solved with recorded video. While analog systems have worked well in the past, advancements in IP have made networking a viable option for casino surveillance. Recently, a group of scammers partnered with a casino's dealer, threatening to walk away with thousands of dollars. Video analytics and a megapixel camera helped lead to their arrests. Despite proof that IP is indeed valuable, decision makers are still hesitant about migrating. The upfront costs of an overhaul into the future with a fully integrated IP system remains an obstacle to wider uptake. Casino security and surveillance keep tabs on cash, people and property. As soon as one steps into a casino, every movement is recorded. Surveillance cameras dot the ceiling like stars — every square inch of a casino floor is covered by one or more cameras. They work 24/7, sending a constant image feed back to the central control room for review. Casinos are facilities where large sums of money are exchanged and kept, which call for advanced surveillance and security systems to combat numerous risks, as well as keep patrons and employees safe. Casinos built in the past have relied on an extensive wired network of analog cameras, operated by security personnel who would manually zoom in on suspicious areas. They would then keep a close eye on the area for any irregularities before confirming it was safe or if security personnel should be called to the scene. However, this method can prove to be time-consuming and tedious, since it is impossible for a handful of security personnel to keep tabs on more than 1,000 image feeds simultaneously. This is significant because gaming regulations determine the amount of time video footage is kept. “Casinos are required to store video surveillance recordings for a defined period of time — from one week to 30 days, depending on their location and state laws. 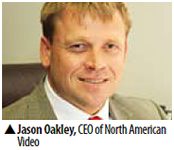 As a result, many casinos must store thousands of video cassette tapes with recorded video,” said Ian Crosby, CCTV Product Marketing Manager, Bosch Security Systems. It also expends unnecessary money and manpower. “ Casinoscould have 500 to 1,000 VCRs recording camera video. 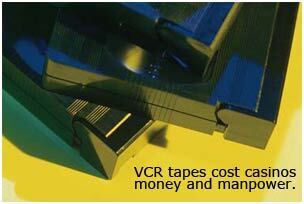 Each VCR requires a tape change every eight hours, and tapes have to be rewound and stored for seven days. On a typical eight hour shift, an operator would spend 60 to 90 minutes purely dealing with the tape changes,” said Oliver Vellacott, CEO of IndigoVision. A casino's defense against risks cannot be lowered during upgrades and overhauls. “Video surveillance is the heart of the security system in a casino. 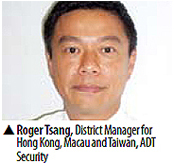 No casino table is allowed to operate without the corresponding surveillance system running,” said Roger Tsang, District Manager for Hong Kong, Macau and Taiwan, ADT Security. For a transition, a hybrid system allows for analog reliability with better imaging from megapixel and HD cameras. “The hybrid solution lets you use a combination of analog and network cameras, DVRs and IP servers. 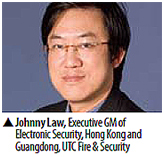 It can complement the shortfalls of both IP and analog systems ,” s a id Johnny Law, Executive GM of Electronic Security, Hong Kong and Guangdong, UTC Fire & Security. Prior to the advancements made recently, network cameras suffered from low-light sensitivity issues and did not have the PTZ capabilities casino operators were used to. “But as improvements are being made, and network cameras are deemed no longer inferior to analog cameras in terms of stability and functionality, it is pushing us even further away from the hybrid environment and into a full IP or HD environment,” Bartlett said. Casinos are calling out for IP systems and products after recognizing the numerous operational advancements they have over analog. 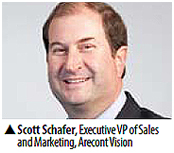 “Fifty percent of the installations done over the past four to five years have been IP-based. They take up 10 to 15 percent of the overall casino market and will only grow from here,” Miller said. The advantages of IP devices over analog are obvious. “IP solutions have better image quality, increased coverage area, longer recording times, smart search capabilities, Web-based remote viewing and can capture clearer images of moving objects,” Law said. “Slot machines and blackjack table areas are best equipped with IP video surveillance systems. Thus, such systems are widely installed because they can also reduce cost, use less cabling, provide flexibility and digital functions, and take up less video storage space by using file compression formats. Currently, megapixel and HD cameras are the leading trend for casino security. “They can offer a resolution that is 10 or even 20 times higher compared to a traditional VGA network camera or VGA encoder. Casino operators can have fewer cameras installed by using megapixel cameras and still be able to enhance the video resolution and area that is being monitored,” Tsang said. Aside from better image quality which helps capture small details, analytics also play a major part in the appeal of an IP system. Analytics can help catch minor movements and irregularities that could indicate foul play automatically, so security operators are alerted to a certain table at play. However, facial recognition may not completely be ready for deployment. “I have yet to see a system work in a casino environment. The ceilings are too high and there are usually too many people coming through the doors at one time for any system to be effective,” Bartlett said.